Update: RAF file available and Silkypix quick comparison. This second part of IRIDIENT developer RAW processor starts from the conclusion of the first part: IRIDIENT develper looked promising to my eyes, expecially in extracting details from shadows. The open question was: is it worth in a Lightroom based workflow, to add this other piece of software or not? So I decided to test it in real conditions,processing a file shoot in the best conditions for the X100S (f11, the upper aperture value before adding diffraction) at ISO 200 and in full daylight. On purpose I let the camera choose the proper time without exposing to the right as I normally do. 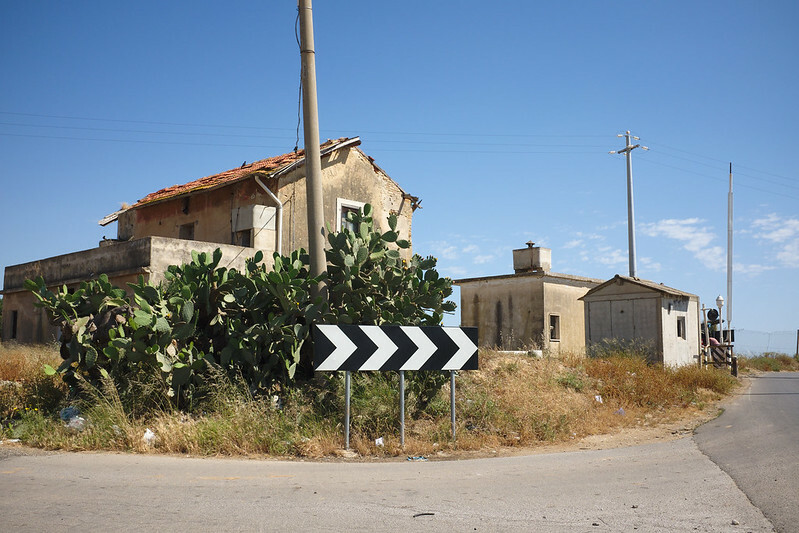 The test scene is a typical Sicilian landscape. Arsh light, many details, strong shadows, architecture and nature mixed together. As requested by many user the RAF file is available for download from here. The Scene “as shot”. ACR output just resized. First of all let’s give a look to the file as it was shot. Mmm… As usual the camera is too much on the cooler side, 5.100 k in full daylight. The sky color looks unnatural, really different from what was in reality. This is, in my opinion, the current major drawback of the X100s: as I’ve already noticed in comparison with the X100 I still believe the white balance is far too much cool and produces colors I don’t like since they’re simply unrealistic. This is the main difference btw the X100 and the X100s and why, IMHO, JPG only shooting with the X100S is a no-go. I still hope for a good firmware update fixing this strange behavior. In the first part of the video you’ll have a full look&feel of my trials with WB. Given this from the RAW I had to adjust the white balance. Selected a good white point on the traffing sign, and rebalanced the image. I had an hard time to find adjust WB in ACR to make it look similar to IRIDIENT and, at the end, I arrived to something similar but without a great deal of success. Then I moved to the so called “capture sharpening” which is that kind of sharpening you normally add to the image in Camera Raw or with specific tools (I’m a look time user of the PIXELGENIUS apps). Lastly I just changed the exposure moving 2/3 of a stop on both the processors. 1) White balances are different. Many differences in color rendering btw the two RAW processors. Digital camera white balance color temperature is just a rough estimate and there are various different methods to estimate it. 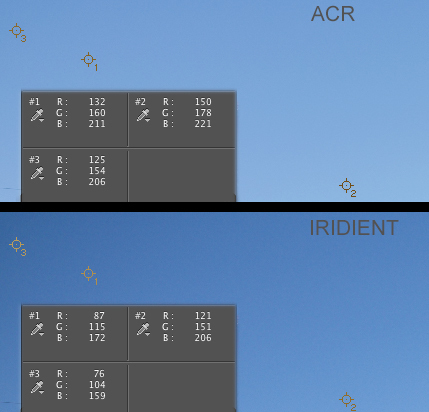 Iridient Developer features 2 different calculations which basically do the same type of white balance adjustments, but the estimated numbers and slider adjustments differ. Originally I used the data and calculations used by Minolta color temperature meters. 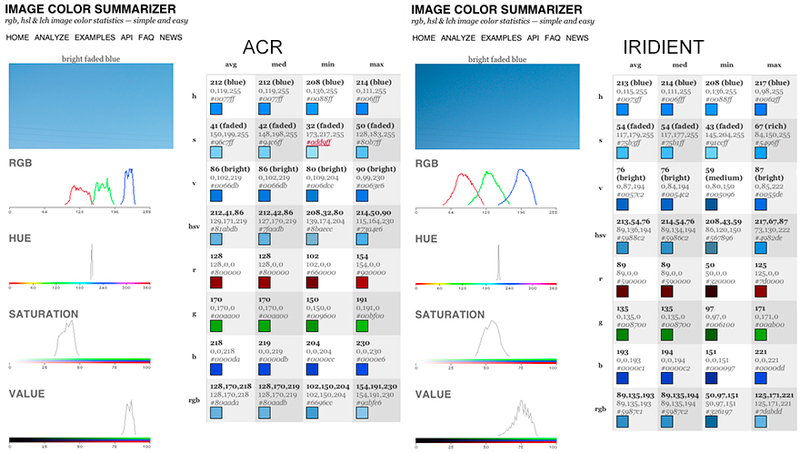 These values are labeled Correlated Color Temperature and Color Correction and match up with the old software that shared these identical estimates. Minolta used to make some highly regarded color temperature meters and these calculations produced values which seemed to match up quite nicely with several other RAW converters of the time (way back in 2003-2004). When Adobe began producing RAW conversion software and created the DNG format they used a different set of calculations (and naming conventions) for estimating white balance. The Adobe tools quickly became very popular and many users were confused that my white balance values did not appear to be the same as Adobe’s. To reduce confusion I chose to add support for the Adobe estimates. The Color Temp (DNG) option uses these Adobe DNG based estimates and use the labels of Temperature and Tint to match up with the Adobe naming conventions used by Photoshop and Lightroom. 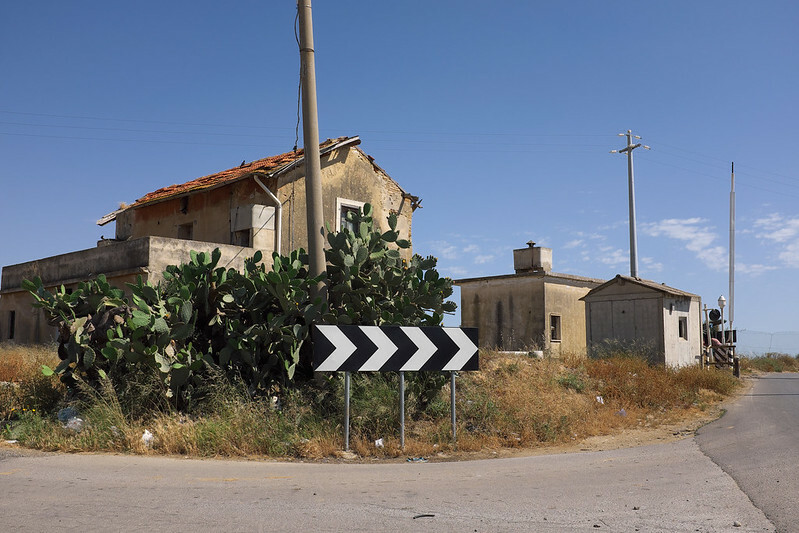 When processing DNG images the Temp and Tint values should match up very closely, in most cases identically, to those shown in Lightroom or Photoshop. The actual white balance correction behind the scenes in both cases is for all intents identical, just the values presented by the 2 sliders differ. Because the math behind the estimates is different the scale and effect is also slightly different between the 2 sliders in the different modes. However, in both cases the sliders are translated to R,G,B channel balance multipliers in both cases. Iridient Developer also provides an option (“RGB Balance”) to directly adjust each of the channel multipliers directly with 3 separate sliders. Most RAW converters have moved to the 2 slider temperature/tint white balance adjustment now. 2) The exposure is different by circa 1/5 stop. The IRIDIENT output, in the same conditions as ACR, give a darker and more contrasty image. 3) There is some “vignetting” in the IRIDIENT output. The Sky was much more uniform blue in reality. So ACR does in this case a better job. I was able to remove this vignetting in post processing but of course one may derive many different takes on this situation. Is the LENS? Is there something magic ACR does that is not done by IRIDIENT? Now, this is pretty much a strange behaviour. It’s quite improbable that the lens has some “vignette” @f11. You can see it with your own eyes but, if you don’t believe, you can analyze the output of this crop with the IMAGE COLOR SUMMARIZER or, simply, check the RGB values of the three sample points in the figure. Interested to hear your opinion. The underneath APPLE 4.05 converter and the sharpening procedures (the default processing for the X-trans cameras with Iridient Developer is to use Apple RAW support, and requires Mac OS X version 10.7.5) makes really thinking that you’re processing 2 different cameras! Even adding “clarity” and playing with the ACR sharpeming do not increase the details to match the information extracted from IRIDIENT DEVELOPER: it just add artifacts to the images and haloes that (be aware!) are evident in ACR also with the standard settings. In the foliage and in the details the difference is embarassing and really shows the GREAT capabilities of the X100S when used with a good RAW processor. ACR lovers: I’ve played a lot (after the video recording) to get similar results, using various tools and procedures (i.e. Photokit, microcontrast): what you get from ACR is a mushy file that I believe you cannot bring to look similar to IRIDIENT. Overall I should say that the IRIDIENT output is better for my eyes even if the image has some “vignetting” not visible in ACR. And coming to the original question my reply is: YES. IRIDIENT DEVELOPER is really to consider if you’re serious with your Fujifilm X100S outputs. I have already other tools to complement my worflow (i.e. Photo Mechanic) so I know that, until ADOBE does not come with something better this is the way to go. Silkypix has announced a new version (5.0.39.0) if it’s raw developer claiming a better compatibility with the XTrans files. I gave it a try following the same steps described in the video. Color redention is pleasing and the details extraction are for sure better then ACR. No Vignette is visible. However the Sharpening algorithm is weak when compared to IRIDIENT, producing haloes and artifacts. 1) Regarding white balance. The Fuji X-trans cameras, which includes the X100S, are processed through Apple's RAW libraries which includes initial white balancing. These cameras are a special case in that for As Shot white balance I am not really able to directly control the As Shot defaults as I would be able to with most all other RAW images. Therefore these X-trans images by default come through a "white balanced" from the Apple RAW libraries and I assign a default "neutral" white balance temperature of 5000K (roughly neutral daylight). White balance can then be altered from the default "As Shot" value using the dropper or slider based adjustments, but the actual color temperature estimate is going to be an even less accurate number value than with other RAW image formats where I have direct access to the original white balance multipliers and actual pre-white balanced RAW image data. These X-trans cameras are an especially unique case regarding the demosaic processing, initial color handling and initial noise reduction which currently is handled by Apple's RAW libraries. The level of basic processing control I have over the very earliest stage processing with these files is slightly reduced compared to all other RAW image formats which typically go through my own custom demosaic and color processing stages. 2) Regarding vignetting. In many cases (most all Olympus and Panasonic RAW images for example, compacts like the Canon S110 and Sony RX100, etc) Adobe applies default lens corrections to RAW images which cannot be disabled. I am not absolutely certain about the Fuji X100S model, but it would not surprise me if they were automatically applying some basic lens corrections to these images no matter what the ACR lens correction options were set to which could modify the vignetting observed. Re white balance: I see. So you are basically working on a Raw already processed similar to a tiff for PS or something in-between? Do you have plan to implement your own de-mosaicing routine? I will test a canon file to see the differences. Re sharpening: here I see a big advantage on your side… Have to test Aperture alone to check how much better you get. Yes, the image I get out of the Apple libraries is sort of in-between a true RAW image and fully processed TIFF or JPEG image. It's still less processed than say a RAW image completely processed to a TIFF through Aperture. For example Apple allows you to disable their sharpening entirely (which I do and substitute my own algorithms), there is some ability to adjust the Apple noise reduction, some control over color space the image is rendered into (though no access to the original, native camera color space), etc. At this time I do not plan to continue work on my own custom demosaic routine for the Fuji X-trans cameras. I have already put some effort into this over the past year, but wasn't super happy with the results I was getting. This sensor pattern is clearly difficult to support well (see Adobe's or Phase One's or dcraw's results) and I just haven't been able to find the necessary time this past year to devote to producing a custom demosaic that gives fantastic results. Writing an all new demosaic routine for these cameras requires a lot of time, especially as I'm just one person with a whole lot of other projects I'm busy with as well. I've found Apple's processing combined with some of my own custom image processing for sharpening, some aspects of color processing, highlight recovery and so on is producing very nice output and my users seem to be happy with this solution as well so it's not a high priority for me to keep working on my own X-trans demosaic routine. I take back my comment above about not continuing work on my own X-Trans processing 🙂 The Iridient Developer 2.1.1 update now includes support for my own native demosaic processing in addition to the previous support for conversion based on Apple's RAW libraries. I still feel the Apple conversion is among the best available for X-Trans processing, but overall I think my new Iridient Developer X-Trans processing routine in many cases offers even better results, especially in regards to fine details and sharpness. By incorporating my own processing for the X-Trans this allows users who may not have had access to the latest Apple RAW libraries, such as users still on Mac OS X 10.6.8 or users without the latest versions of iPhoto/Aperture, to convert these files without upgrading other system software. I find that your new native processing for X-Trans (with 2.1.1) does produce finer details and sharpness however with certain subject matter it also produces more visible chroma artifacts. Apple's conversion, while not as detailed or sharp, produces less chroma artifacts (although they are still there, just not as pronounced.) 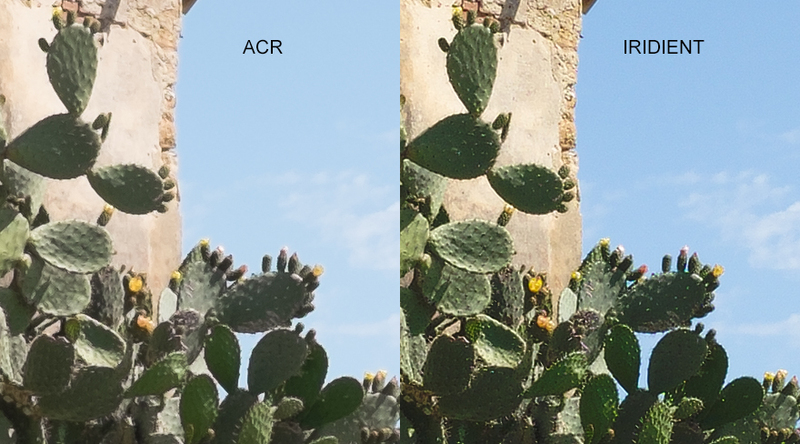 ACR produces no chroma artifacts (on the same file) but instead with other big problems that we are all familiar with. So, depending on the subject matter, I'll jump back and forth using Iridient with Apple's conversion or Iridient with the new native X-Trans processing. Only with certain subject matter will I be okay with using ACR or C1. I appreciate that you have provided users of Iridient with the ability to choose between either using Apple's conversion or using your latest native processing algorithms. I'm a long-time user of Iridient (previously Raw) Developer, and I've been really happy with the way it handles a broad range of cameras. I did an extensive comparison with C1, Lightroom and Aperture using Leica M8 raw files, and Iridient was clearly better in rendering more detail, and also cleaner colors. I was actually about to sell the M8 in disappointment at the muddy files I was getting from C1 – after changing to Iridient I kept the camera for four more years. Lightroom now has a better noise-reduction algorithm, but otherwise Iridient is still far and away the best raw program available. Bring out a Windows version….. my credit card in hand. I tested Iridient Developer and find the output amazing ! Something I wasn't hoping anymore out of an X-trans sensor… I still have to try it on high isos shots (3200 or 6400). Didi you do it ? Very educative post! Just finished reading complete article and shared instructions regarding processing x100s raw with Iridient developer working process quite good!! Effects are pretty clear and any one can how changing those images are looking after processing iridient within. Thanks. In reading and communicating with Leica's Irwin Puts, he mentions the he uses your Iridient exclusively. I'm shooting with a Leica Monochrome 246, and interested in your observations/experience with this more restricted combination. Iridient works great with the Leica monochrome models too. Monochrome specific sensors do not require any RAW interpolation (or "demosaic") so that strength of Iridient software would not be applicable. Same would obviously go for color profiles and color processing, but everything else is applicable including all the great sharpening methods, flexible RAW and LAB Lightness/RGB tone curve adjustments, clarity adjustments, mono toning/split toning, etc.